In the Australian market where 97% of all business are SMEs , they are driven by pressures from supply chain, the pursuit of cost savings and emerging regulatory requirements to engage in environmental and socially responsible practice . Within this journey some SMEs adopt techniques such as cleaner production [15, 16] and eco-efficiency [17–20] as a foundation to establish their sustainable business practice. Lean thinking is described as a business approach that aims to deliver better value for customers by eliminating non-value-adding activities [21, 22]. Within this realm, conventional ‘lean thinking’ has expanded into ‘lean and green thinking’ as a targeted intervention for SMEs to reduce waste and pollution [4, 23–25], comprising an integrated approach that focuses on resource optimisation and promotes activities to do more with less. This integrated approach enables SMEs to sustain in the highly competitive global market by  reducing lead time, improved value-added time, reducing their carbon footprint and increasing the overall production efficiency . It important to note, however, that being ‘lean’ does not mean that an organization is ‘green’. Nonetheless a lean organisation is able to induce green practices and have synergistic impact on both environmental performance . This highlights the significant need for coupled lean and green practices for SMEs to choose from. SMEs must evaluate their existing level of leanness and greenness and explore opportunities to further enhance their performance through selection and adoption appropriate lean and green tools . Over the years, it has been proven that lean and green practices are positively correlated [28, 29], mutually beneficial [27, 30], can be implemented sequentially or simultaneously  and have synergistic impact on operational and environmental performance . Adopting a business strategy, such as lean and green thinking, can allow businesses to achieve bottom line savings in the production process, improve efficiency and form a platform to achieve economic sustainability [24, 27, 33–35]. 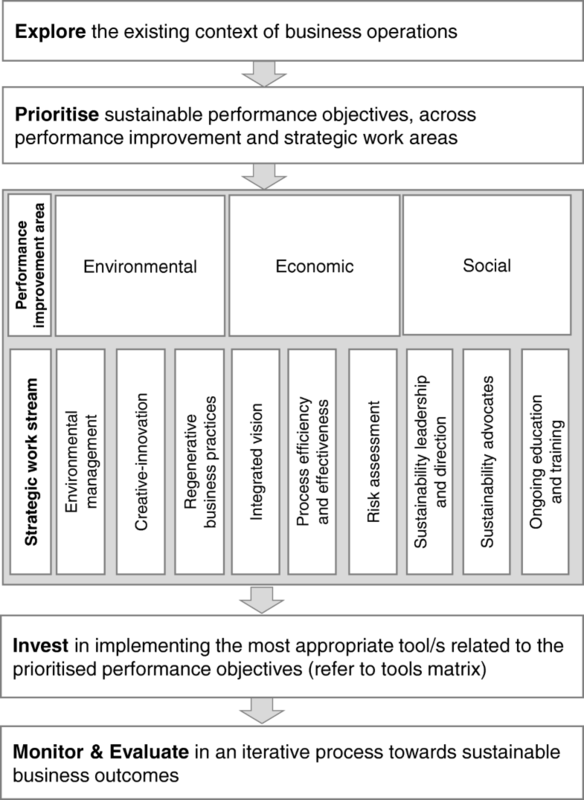 Although a variety of lean tools have demonstrated positive impacts on improving efficiency and effectiveness, they have not necessarily captured environmental – or indeed social – impacts of implementation [36, 37]. Furthermore, considering SMEs’ cash flow and low operating budgets , low level of sustainability awareness , lack of technical know-how  and limited focus on sustainability as a business priority , it is still unclear how to select or integrate such tools to harness best sustainable business outcomes in a cost-effective way . The audio recorded interviews were manually transcribed using the NVivo Pro (version 11) software [60–62]. Firstly a data driven in-vivo coding was conducted through the NVivo program to develop nodes from the interview data . During this coding exercise, labelling was completed using a word or a phrase elicited from the data . These in-vivo codes were then grouped into axial codes where links between initial codes were identified . Finally selective codes were created with links to all categories. The constant comparative method (interpretations and emergent findings were compared with existing findings) was employed to corroborate the interview findings . This supported the research aims by identifying local concepts of the experience shared by the industrial practitioners related to the drivers of sustainable business practices, and the types of tools used. The key informants reviewed the case study findings to ensure authenticity and clarity . Thirdly, several actions were taken to corroborate findings, understand multiple interpretations and aim for theoretical saturation. 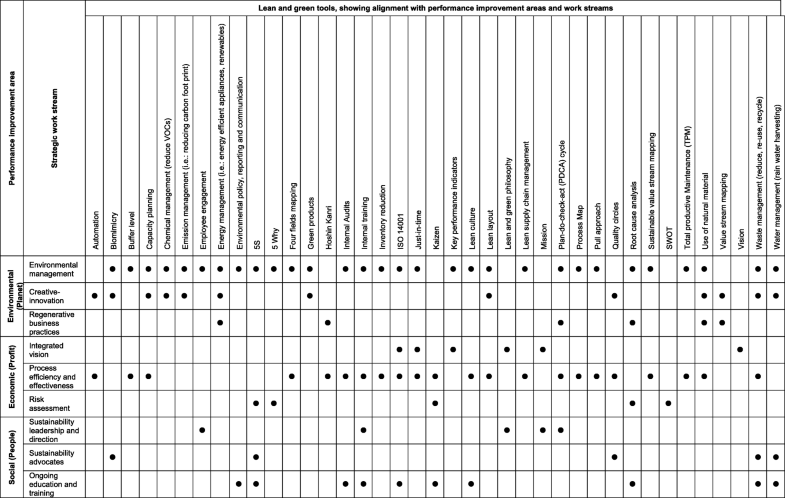 A team of three researchers (the authors) coded the interview data to corroborate the emergent themes and to reduce bias in the synthesised data addressing inter-coder reliability [73–75]. The inter-coder reliability or inter coder agreement confirms that the coded data produced by independent coders are reliable . There was a percentage agreement of 80%, which is an acceptable inter-coder reliability rating . The minimum of 0.70 inter coder reliability rating is recommended to ensure reliability. Previous research conducted in this domain has ranged from have had inter-coder reliability of 80–84% [76, 78]. The interviewing process continued until no new data arose and theoretical saturation was achieved.